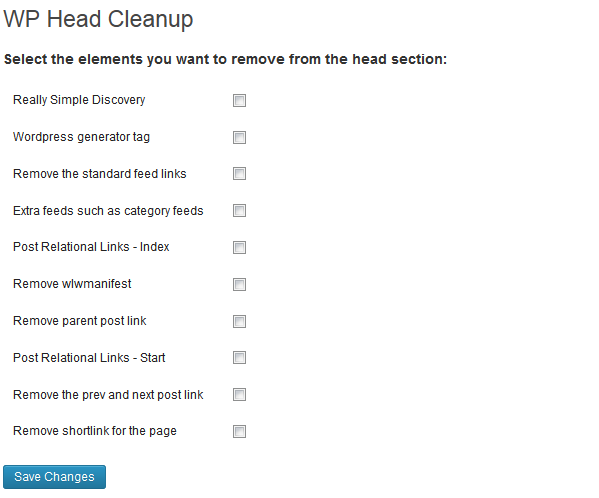 WP Head Cleanup helps you to remove unnecessary extra links from your header page. Plugin will remove Really Simple Discovery link from the header. Plugin will remove the WordPress generator tag. This will remove the standard feed links. This will remove the extra feed links. This will remove index link. This will remove wlwmanifest link. Upload the wp-head-cleanup folder to the /wp-content/plugins/ directory.